“We need language that will help us communicate the importance of diversity and inclusion.” That comment set the tone for a lively town hall discussion that brought together legal marketers determined to help their law firms uphold ABA Resolution 113. I moderated the panel, which included José E. V. Cunningham, Chief Marketing and Business Development Officer at Nixon Peabody LLP; Kenneth O.C. Imo, Director of Diversity & Inclusion at Morgan, Lewis & Bockius LLP; and Megan M. McKeon, Practice Manager at Katten Muchin Rosenman LLP. Panelists encouraged opening new pathways into the legal marketing profession, and up the career ladder, for the many talented diverse marketing professionals. The impact of ABA Resolution 113 on the legal profession has been increasingly discussed and addressed in the ranks of lawyers themselves. The business case for legal services providers is being advanced by major corporations, including eBay, United Airlines, PepsiCo, American Express, CBS Corporation, McDonald’s and many others that have pledged to give their legal work to more diverse law firms. 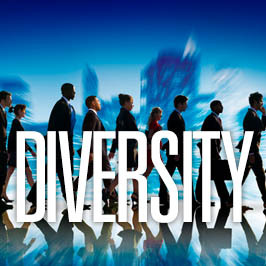 The additional challenge is to find ways to increase minority representation among legal marketers, who are also recognizing that diversity and inclusion are central to a law firm’s innovation, ability to attract and retain the best talent, foster productive teams, and engage diverse internal and external clients. It is generally felt that the current makeup of the legal marketing profession did not develop through any purposeful means or method of exclusion; instead, the opportunities have been largely invisible to developing talented diverse professionals and have not been brought to their attention, whether they are in other marketing positions or preparing for careers while in colleges and universities. The LMA Annual Conference session participants suggested pioneering a more proactive approach to attract, recruit, encourage, mentor and promote diverse legal marketing professionals. Among the ideas was the creation of a team of LMA representatives of all ethnic backgrounds that would be assigned and encouraged to promote the legal marketing profession to classes, clubs and assemblies at racially diverse universities and colleges where potential talent could be found. These “emissaries” could target classes in marketing, communications, “big data” and other technology topics, and public relations, as well as general business classes at both the undergraduate and graduate levels. There was also a call to create programming through the LMA at the local and regional levels, as well as the national level, to focus on issues related to increasing diversity. The programming would include creating guidelines, along with enthusiastically seeking existing diverse marketing professionals from inside and outside the legal field to include as speakers in individual group and panel sessions. A number of interested legal marketing professionals plan to confer and convene with other parties interested in developing more diversity in the legal profession. Law Firm Media Professionals (LFMP) is already involved, and there is a plan to reach out to the Association of Law Firm Diversity Professionals (ALFDP), which was established in January 2006 and has maintained an interest in developing diversity in both the lawyer and staff ranks. Chief diversity officers at any and all law firms are also natural allies. The plan is to engage with the offices, personnel and capabilities of these other organizations (and perhaps others to follow) to make the efforts truly industry-wide. We’ll keep you updated concerning progress in this area in future blog postings. In the meantime, if you have thoughts or ideas that can help diversify the legal marketing industry, contact Terry Isner at tisner@jaffepr.com.